BT TOOL FIXTURE :: ToolingBazaar.com - Buy CNC tools and accessories online. Tool fixture for operating BT type holders. Holders can be mounted horizontal as well as vertical positions. 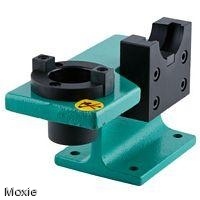 This facilitates in changing tools as well as pull studs in basic holders.